There are times when someone will have a dentist complaint about their dental work. Serious problems can occur during treatment and fortunately, there are skilled individuals trained to help. The first step in resolving a complaint is to speak with the person providing the care. If your dental work is being provided at a private office, speak to the dentist. If you are being treated at a dental school, speak with both the student and the supervising faculty. 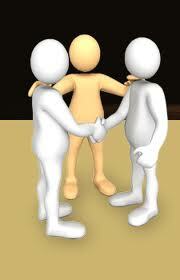 It is normal for problems to be addressed at this stage and an amicable solution reached. If the dentist complaint is more serious (i.e., an OSHA violation) or you need to have a specialized procedure performed as a result, (e.g., a dental filling now needs a root canal), the discussion should take place in the presence of a manager or facilitator, and any Quality Assurance (QA) personnel. Be certain to take notes of all discussions - you may need to reference them later. As a clinic manager, I handled numerous amounts of complaints. Some were very minor, while others were more involved. I would soon learn that one the most frequent complaints by patients would involve a dental cavity filling becoming a root canal, post/core and dental crown procedure. Because treatment was being conducted in a learning environment, I would often attempt to resolve treatment complaints using the methods below. Patient presents complaining of a toothache. Diagnostic x-ray shows decay in tooth area. Student presents diagnosis and proposes treatment by removing the decay and refilling the tooth with amalgam or composite filling. While it seems simple, sometimes, when removing decay, the dentist has entered into the pulp area of the tooth. This could happen one of two ways. Either the decay was so extensive that he/she had no choice but to enter into that area, or the pulp area was entered by accident. In either case, a root canal is needed because the nerves have been exposed. Was the patient informed of this possibility? If not, a problem now exists. The patient, expecting to pay $125, is now facing dental fees between $1,000 and $2,000 (root canal, post/core and crown). While most dentists discuss the possible outcome with the patient before the treatment begins, some do not. During this same visit, the tooth will need to undergo a pulpotomy (the beginning of a root canal where decay is removed from the dentin and pulp areas of the tooth) or full root canal therapy, in order to begin the process of saving the tooth. If care was provided by a dental student and you were not informed of the possible outcome, speak with the student and faculty in the presence of the manager or facilitator. If you are being treated at a private facility, the discussion should occur between you and the licensed dentist. Using the example above, the dentist complaint might focus on the lack of information given to the patient regarding the outcome of the dental cavity procedure. You signed a treatment plan consenting to a dental filling, not a root canal. Note: While dental schools are required to use treatment plans, some private dentists tend not to, especially for "simple procedures". While they may do this to save on time, it is important that each dental procedure you are having be outlined on a treatment plan with the fees and potential risks. A treatment plan is a contractual agreement which often implies that the care you receive is continuous, complete and of the best quality. In the above example, the care provided may be considered incomplete given the dentist, using both x-rays and the physical examination, failed to discuss the possibility of a root canal and referring the patient for an endodontist consultation before beginning treatment. Failing to provide this info could be viewed as a violating a dental patient's rights. Given the outcome in this case, a compromise should be considered. It could be a discount in fees for the root canal and/or dental crown. If no agreement can be reached during this discussion, and you are being treated at a dental school, you should speak to the clinic director or someone who supervises the students and the clinic faculty. 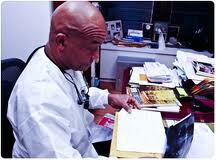 That person is usually licensed and has experience in handling treatment issues. They are also responsible for ensuring that student dentists and faculty are following strict policies and procedural guidelines. Note: Keep good documentation, getting the names and titles of everyone you speak to. Ask for business cards. If a discussion with all parties (dental student, faculty, clinic manager, director), does not lead to a resolution, consider speaking to a patient advocate. If you are being treated with a private dentist, you may need to proceed directly to external resources: a dental society peer review committee, State licensing board, or malpractice lawyer. The dental school's patient advocate is an individual who usually works in conjunction with the School Deans and outside court systems. The patient advocate works very hard to ensure that standards and guidelines are being followed by everyone - from the students, to faculty, directors and managers, and can help to expedite care in some instances. It is always a good idea to make an appointment with the patient advocate. This assures that ample time is set aside to discuss your dentist complaint. Review your notes before your meeting, making certain to stick to the facts - outline what you perceive to be the problem and the outcome you would like to see. Make a duplicate copy of your notes for the patient advocate to use during their investigation of the dentist complaint. This is quite helpful - not only does it save time, it may even help to speed up the outcome. According to one advocate, the better prepared patients are with the facts outlining a dentist complaint, the easier it may be to get an amicable resolution. So, document, document, document - and focus on the issues, not the individuals. 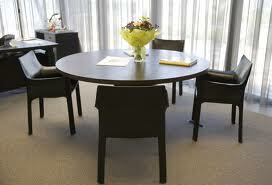 At your meeting, continue to document your discussion. 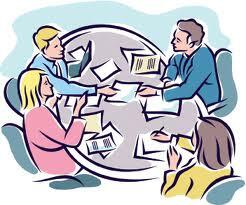 After the meeting, follow up with a email or letter, copying both the clinic director and clinic manager. Focus on the facts and try not get emotional. I understand how upsetting this situation can be (trust me - I've been there), but it is important to remain calm during this process. The last thing you want is for people to perceive you as being rude, pushy or demanding. Most people will only react in kind, defeating your purpose which is to get a favorable outcome. Usually after meeting with the patient advocate, the issue is resolved. If you are satisfied with the outcome, good for you - job well done. If you are not, there are still other channels to explore. But, keep in mind, that every discussion you've had so far is an opportunity to see the situation from the others viewpoint. If you truly believe that a disservice was done, by all means, use every channel at your disposal to get a fair outcome with your dentist complaint. If you are being treated in a dental school, the next step would involve communicating with the Dean of the school. Sometimes, patients need the assistance of the Dean to resolve a dentist complaint that could not be resolved at the clinic level. Depending upon the Dean, the issue will either be resolved within a matter of days, or no response may be forthcoming. I am fortunate to have been affiliated with a school that works very hard for patient satisfaction. When a dentist complaint comes to the attention of the Dean, it is usually a sign of bad management or the patient was not aware of the proper chain of command relating to the grievance process. If you have exhausted all of the channels or believe you are not being directed to the appropriate personnel for assistance, writing the Dean is a good way to get the attention of all parties. In your letter, provide the Dean with the information gathered during your discussions. If the Dean is proactive, you will receive a response and the issue will be resolved. If you receive no response, submit a follow-up request with a deadline date. Indicate your willingness to resolve the matter internally, as well as your intentions to seek outside assistance if no response is received. Hopefully, a response and resolution will follow. If not, you may need to take your dentist complaint to an outside agency. Dental societies are made up of local, regional, and state organizations controlled by its members. Its main purpose is to promote the interests of its members through continuing education sponsorships and influencing legislation. While they can't control or set dental fees, they do investigate fee disputes and negotiate reimbursement rates with insurance companies. They act as advisors and, through local peer review committees, can offer arbitration to patients and dentists. Peer review committees provide easily accessible and impartial means for resolving dentist complaints. The committee may examine clinical records, talk to the dentist and the patient and, if necessary, arrange for a clinical examination. They provide explanations as to why treatment was approached in a particular manner, why the fees charged were fair and reasonable, or inform a dentist about his/her unreasonable or inappropriate behavior. If after using a peer review committee without reaching a resolution (i.e., care provided was extremely substandard), a complaint can be filed with the licensing board. If evidence of malpractice is found, the committee can either instruct the patient to inform the state licensing board or inform the board themselves. While fee disputes or dentist complaints do not generally fall within the scope of a State licensing board (they are not equipped to handle the large volume of complaints received), they do have peer review committees that can evaluate and mediate some disputes that arise. These committees can look at the facts, including interviewing both parties and make a recommendation towards resolution. When the board receives a complaint, it is usually required to open an investigation. If the investigation reveals professional misconduct, a formal trial before either the review committee or an administrative law judge will follow. If the charges are sustained, the dentist can be sanctioned by the licensing board. Sanctions include license revoked, temporary suspension, additional education, supervision of their practice, and restitution. Include the specific violation(s) of the State's dental practice act. Note: State licensing boards are not designed to handle dispute resolution, and cannot help with reimbursement of dental fees. Peer-review committees are the proper forum for assistance with getting fees paid returned to the consumer. Licensing boards exist to enforce regulations, so all they may be able to do is remove a dentist's license to practice dentistry. Persons who believe they have suffered significant damage at the hands of a dentist should consult with an attorney who specializes in personal liability cases, in particular, dental malpractice. 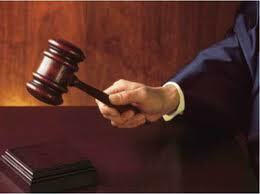 The attorney can evaluate whether a valid case against the dentist exists. While some cases involve substantial damages, most lawyers, because of the small amount involved and high court costs, will often advise that a settle be reached or that the case undergo the peer review process. Many lawsuits also have statute of limitations. The statute of limitations can be as little as one year after the procedure is performed. Your attorney can better advise you on the length of these time periods. Do not delay if you believe a lawsuit is in order, even if the case is pending with the dental society or licensing board. With LegalZoom, conveniently file a small claims suit online. Founded by Robert Shapiro, a renowned attorney, LegalZoom provides quality legal documents for up to 85% less than the cost of an attorney. Simply complete a short questionnaire and let LegalZoom prepare the document, review it for spelling and grammar, and file it with the appropriate agency. The entire process is fast and easy, and saves you money. Have a great dentist? Need to complain? Shout Out! and Share It!.